Money is the key to freedom and it's essential that all teens know how to work within the confines of a budget before they reach an age where adult intervention becomes difficult. Don't forget, as new payment methods emerge, physical cash is disappearing and this makes it more difficult for teens to understand how quickly they can go through their funds, or even worse, rack up debt. For many teens, simply having a good grasp of mathematics is enough but what if your teen is on the autism spectrum. They could be brilliant at maths but it might not translate into the real world -- or they could have learning difficulties. How do we get these concepts understood and accepted? How do we make budgeting an automatic part of your teen's spending habits? The earlier you start getting your kids to purchase things on their own, the better. With my boys, we were giving them money before they'd even started at school. It wasn't pocket money then but we'd be sitting in a food court and we'd say that he could have a doughnut if he went to get it himself. We'd give him the exact amount of money (sometimes more) and watch from the table as he toddled off to buy one. Sometimes he'd try to buy a more expensive one. Sometimes he'd have the money for his new choice and sometimes he wouldn't. Occasionally we'd have to bail him out but only after he'd tried his hand at negotiation. It was also great for his communication skills. The lady in the doughnut shop was very patient with him (we couldn't have done it in a crowded shop) and she'd often cast a glance in our direction to make sure that we were okay with his choice. As he got older, we'd tell him to go and decide which doughnut he wanted and them come back and tell us how much he needed. Food was a great motivator. All kids will benefit from starting young but kids on the spectrum especially will benefit both from interactions with others and from handling real money rather than mathematical concepts. 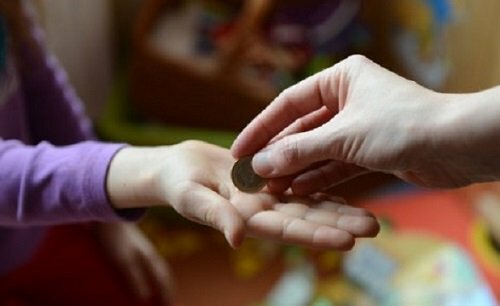 When your kids get older you'll want to give them pocket money. Whether or not you make them work for it is up to you. It's a good idea if you can but sometimes this just doesn't work. One alternative is to give them a "base salary" which they get regardless of whether or not they do work and "bonuses" for doing jobs. As you increase the amount you're giving them, consider leaving the base as it is and increasing only the bonus part. You might either add more jobs or expect higher standards of cleanliness for the extra money. We found that money had no effect on our kids until they reached about thirteen years of age. Even then, laziness would often win out against getting more money. The balance has been slowly shifting for a few years now and they're much more likely to complete their household chores. Even if it looks like it's not working, keep doing it. Eventually it will. The other thing we did was make sure that any regular money that our kids had to pay the school was built-in to their "wages". At first, we'd give them a portion of money every morning in an envelope. It was quite problematic because we'd need to make sure that we had the right amounts of change. The benefit of this was that we could ensure that they had enough money for sports day (when they had to pay extra for buses). As they got older and more responsible with their wallets -- and as it got more difficult to get the right change, we changed to giving them one pay out per week. Start with simple budgeting and slowly work your way towards more complex choices. 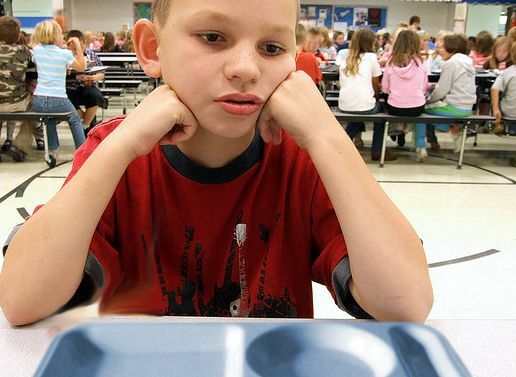 The budget that you set for your kids should be generous enough to allow for them to pay for lunch (if required), snacks, school activities and a small amount of external spending or saving. You'll want to keep the essentials in the "standard wage zone" and put anything extra in the "bonus zone" so that they don't start the week short -- at least not until they're a little older. Your kids are going to have failures. They're going to go through times where they spend all of their money on Monday and have to complete the week with nothing. You can't be there to rescue them all the time and you have to let them fail in order for them to learn. Withhold $10 until the day that it's needed and give it to them. Let them attend sports day without the money and let their teachers show them the consequences. My kids will still stretch things at times especially if they're saving up for something. My youngest will often say, "It's okay, I'll just have starve days for the rest of the week". It's okay. 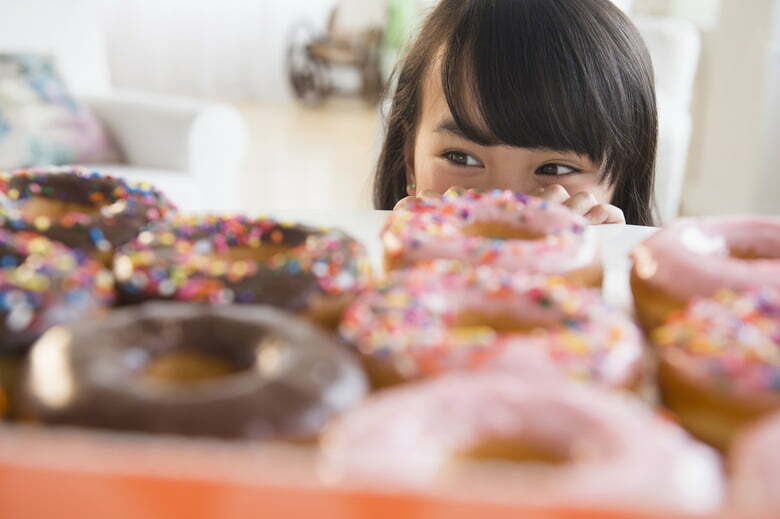 Your kids won't starve especially if you have snacks for them when they get home -- and chances are, they'll learn those lessons about spending all their money really quickly. I'm particularly proud of my eldest son (now 17) because he's stopped buying lunch at school and has started preparing for his week by purchasing from the supermarket. This not only leaves him with more money for other things it has also had the side effect of getting him to plan out his week. Kids on the autism spectrum often struggle with executive functioning so planning for the week represents a major step forward. Don't forget, this is their choice, not yours. If you keep rescuing them, they'll never learn. Sit down with your kids and explain how they can save their money for a few weeks to buy something that they really want later. If your kids struggle with the maths, consider demonstrating with actual money by putting it into piles on the table. Having shopping catalogues handy will help this process as you'll be able to show them different items with marked prices and say that "this item is three weeks of saving, while this one is five weeks". Catalogues also make it easy for your kids to learn about shopping for a better deal and how prices change during sales. Kids on the spectrum often take longer than their peers to deal with abstract concepts such as credit or money that they can't hold. These are important concepts though and they need to get exposure to banks including fees and interest -- and most importantly to cards and credit because at some point in their lifetime, chances are that cash will be gone forever. It's probably best to start your kids off with a bank account and perhaps a withdrawal only card. From here, the best way to get them used to cards is to provide them with store bought cards, such as those from iTunes, Steam, Google Play or department stores. You can even buy Visa debit cards. When your teen is a little older and has been able to demonstrate a reasonable amount of self-control over their store cards, you might consider adjusting their bank account to use a debit card. 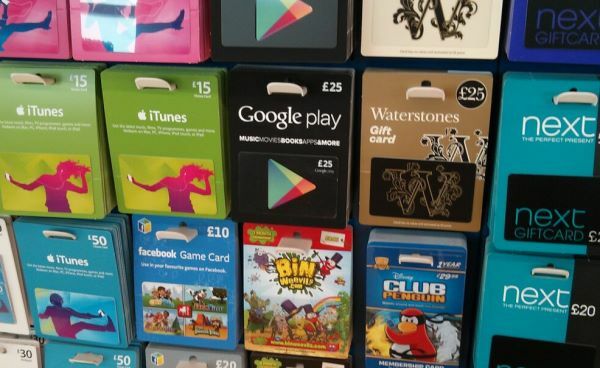 I'd avoid a credit card for as long as you can but it's important to remember that you need to have "socialised them" with these cards before they reach an age where they can arrange these things without your help. Once your teen is successfully dealing with their weekly budget you'll want to widen their exposure to finance. This means that you'll want to show them newspapers or store fronts which have televisions, game consoles, cars and eventually houses in them. It's important that they get an understanding of how much things cost and how not everything can be saved up for. Some things have to be bought and paid off. You'll need to explain the concept of interest to them as well as how some places will have hidden fees. Your kids are going to get ripped off at some point too. There's no doubt about that. Sometimes you'll want to let them simply learn from the experience. For example, they'll need to learn to read reviews before buying online and they'll need to learn to choose reputable sellers. At other times, people will simply take advantage of them and this will lead directly into consumer rights. You'll need to go with your teens when they return items and you'll probably need to take the lead on the first few occasions but eventually you'll be able to hang back from a distance and watch them negotiate their way to a refund. It's very much like an adult version of the doughnut store experience I described earlier. If you go travelling anywhere, particularly where there are multiple foreign currencies being used, this is a great time to talk about exchange rates and to have your teens tell you whether something is cheaper in one country or another. It's okay if they use an app on their phone to help. It's not the maths that's important, it's the concept. When your teen finally leaves school, you'll need to encourage them to start earning for themselves. One of the best ways to do this is to cut funding. If they don't have a job and they're not on unemployment benefits, you obviously can't charge them board for staying at your house. You can however significantly reduce the amount of available snacks and/or services. Most modern game consoles need internet to work, so if your teen starts to become a couch potato, removing the internet and TV subscription services may be enough to get them to start taking control of their lives. It's tough love but sometimes it's necessary. If your teen does have a job, you should charge board. Don't feel guilty about this. It's for their benefit. Of course, you don't have to keep the board money. You'll most likely be using it to provide for their needs anyway as teenagers can "eat you out of house and home". Even better you could save for a family holiday or special occasions such as Christmas, special birthdays, weddings or even a first home. Of course, it's best not to let your kids know if you're doing anything like this for them -- after all, their future landlords certainly won't be doing anything like that. It's all tough love but it's well worth the effort. "Most modern game consoles need internet to work, so if your teen starts to become a couch potato, removing the internet and TV subscription services may be enough to get them to start taking control of their lives." Take away the TV but not the internet. A lot of employers only accept job applications via the internet.